This elephant decor is all set to be a part of your home. This is one such wall decor that would simply add artistic touch to any wall. 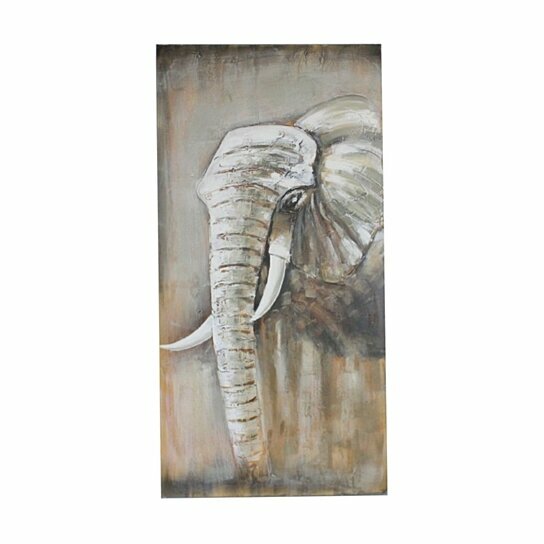 This animal is hand painted and worth adding to any interior. Adorn it on plain wall in the drawing room, kid?s room, bedroom or kitchen. This wall decor is worth adding to any interior. Though it is wooden crafted, it are not very heavy and can be easily relocated. In addition, it is easy to clean and maintain.